SPECIAL 2 PSIG DELIVERY pressure twin stage regulator is designed to reduce container pressure down to 2 PSIG. 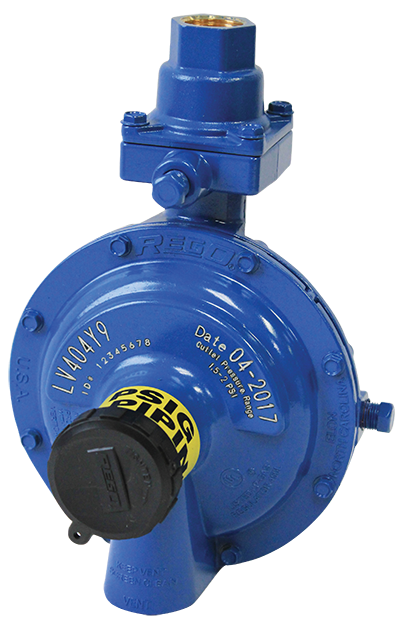 A line pressure regulator is required downstream to reduce the 2 PSIG to a nominal 11” W.C. Incorporates integral relief valve in the 2 PSIG stage portion of the regulator. Designed to pass not more than 5 PSIG with the seat disc removed. Large vent helps prevent blockage and has a ¾” F.NPT for vent piping. Built in pressure taps for both the 10 PSIG regulator and 2 PSIG regulator, Plugs can be removed with a 3/16” hex Allen wrench. 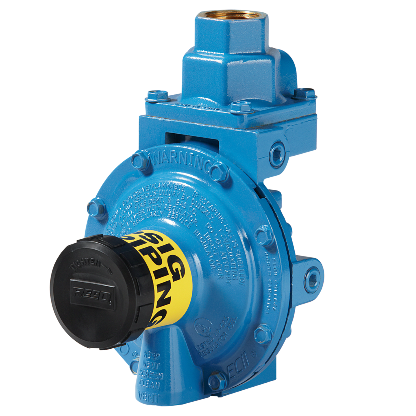 Select Blue Finish to designate 2 PSIG delivery pressure for 2-pound systems.